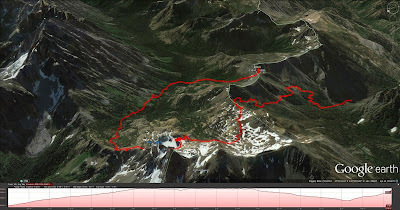 * Canon GPS Receiver, ** Garmin HCX - Our elevation data for this hike suffers from a couple of problems. First, the Garmin was off for part of the middle of the hike, and the Canon GPS Receiver logger turned off for the last ¼ of the hike. Technology. We calculated our total hike length by using the visible trail in Google Earth. Our Lake Ingalls route was a loop that had us taking the standard route up to the lake, skirting the west edge of the lake, dropping down by and following Ingalls Creek, and the climbing up the east side of Longs Pass to rejoin the Lake Ingalls trail. The climb up Longs Pass caught us by surprise because we were tired by that point in the hike and weren’t expecting the steep climb to the pass (40-50% grade toward the top). We usually don’t use trekking poles, but we broke them out for the last 200 feet of elevation gain to get over the pass, at approximately 6,100 feet. Lake Ingalls on this sunny, warm Fall Sunday was not too crowded. Most hikers seem to stop at the south end of the lake and then turn around and head back. We picked our way around the west side of the lake. We saw others going around the east side as well. On the hike down to Ingalls Creek, we saw nobody. That part of the trail gets a little monotonous. The sign to Longs Pass was a welcome site. We hike up Ingalls Creek in 2012 (see Ingalls Creek Trail - Butterflies and Balsamroot) but didn’t come this far up the creek. 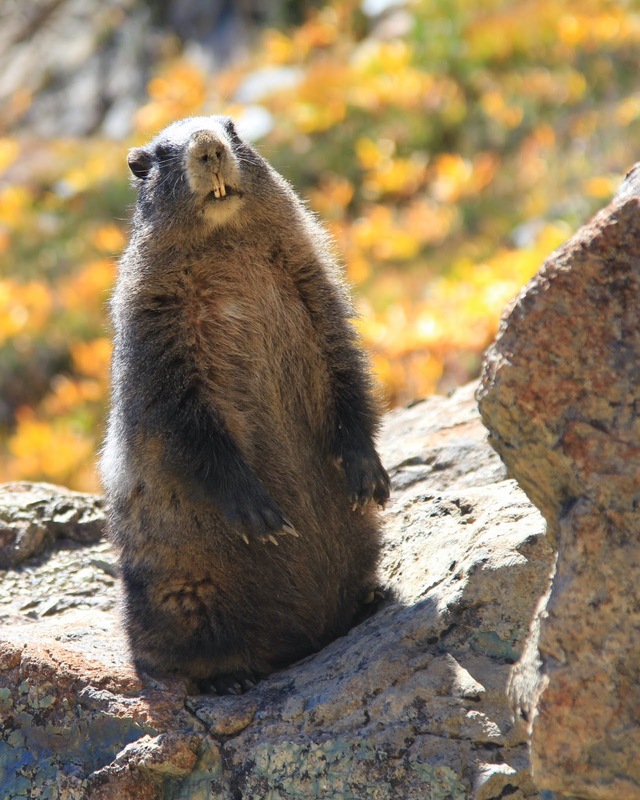 On our way to Lake Ingalls we saw one goat and a few marmots. In terms of larches, we thought the larches we saw on our Carne Mountain last year were more spectacular.